This video highlights the technological firsts and measurement capabilities of our new F71 multi-axis and F41 single-axis teslameters (now available to order). In the video, we focus on the instruments’ exclusive TruZero™ technology, which eliminates errors, allowing you measure with confidence. 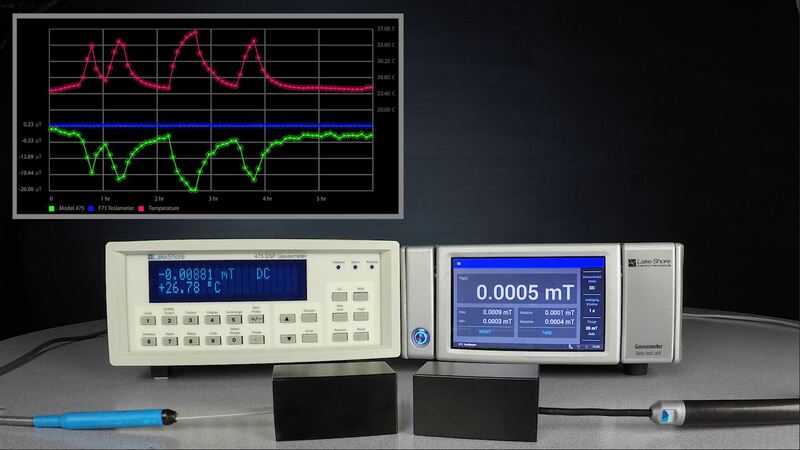 Notably, we show a side-by-side test of the F71 vs. a legacy gaussmeter of ours, varying the temperature over time to simulate temperature fluctuations that would typically occur during use. As shown in the video, the F71 demonstrated almost imperceptible offset from zero caused by these types of fluctuations. This is all thanks to TruZero, which mitigates this drift from zero and, in turn, ensures fast and always-accurate field measurements. Meaning, there’s no need to zero the probe. The innovative 2Dex™ Hall sensors at the heart of the technology – sensors that allow for a wider operating temperature range, near-zero planar Hall effect, and better linear performance and more precise measurement of field than previous Hall sensors. The Hall probes available, including both handheld and fixture-mountable models, highlighting features such as active area and polarity indicators on the probes. The elimination of instrument warm-up time, so you can start measuring immediately. The intuitive touchscreen interface featuring modern icons, gestures, and navigation techniques instantly familiar to smartphone users. The unique TiltView™ screen, which allows for easy operation and viewing, especially when the instrument is mounted at the bottom of a rack. For more information, see the teslameter webpage. Also visit our user forum to see videos for our Collaborator Program, in which we’re gathering user feedback for implementation of future releases for the teslameters.